It was two years ago that the Pixies dropped Head Carrier, the legendary post-punk outfit’s sixth studio album and first with Paz Lenchantin, who in 2016 replaced Kim Deal as the band’s full-time bassist. It was a pleasant, if low stakes, affair, surpassing 2013's middling Indie Cindy but nevertheless failing to recapture that bygone Pixies energy. They’ll give it another go in September, when Pixies will share their as-yet-untitled seventh LP alongside a podcast documenting its development. Hosted by famed rock chronicler Tony Fletcher, the Signal Co. No1 production will unfold as a 12-part documentary series that sets the album’s creation against the larger canvas of the band’s cultural impact. Titled Past Is Prologue, the podcast will arrive in June, its 12 weekly episodes presumably culminating in the album’s release. 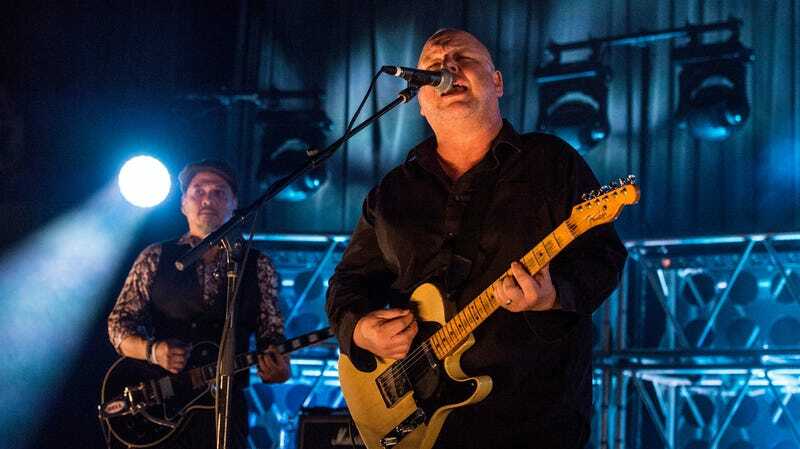 “While the emphasis of the podcast will be on the creation of the new album and looking forward, we were very interested, from a story perspective, in the way history has shaped who the Pixies are, and how and what they are creating now, how the past creates the present,” Signal Co. No1 co-founder Michael Simons said in a press release. Watch a trailer for the podcast and, by extension, the album below.